Dr. Tomer Persico is a Research Fellow at the Shalom Hartman Institute in Jerusalem, and teaches at the department for Comparative Religion in Tel-Aviv University. His dissertation, dealing with techniques of meditation in the Jewish tradition (past and present), and analyzing the cultural transformations leading to the observed shifts in meditative emphasis through the generations, was published as a book by Tel Aviv University Press. His fields of study are contemporary spirituality, Jewish Renewal and forms of secularization. Persico is a social activist for freedom of religion in Israel. He has contributed numerous articles to newspapers and periodicals in Israel, and writes the most popular blog in Hebrew on these subjects. Here is an interview with him English about his work. 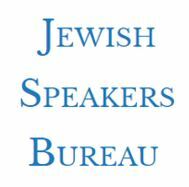 This blog will present a few of his Hebrew articles, translated into English. His main blog, at tomerpersico.com is the most popular blog in Hebrew on religion and spirituality.